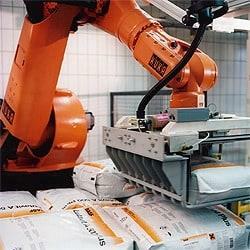 Robotic Palletising refers to auto loading and unloading parts, boxes, bags or other items automatically. Phoenix will guide you to select the best robotic systems for your automation process. 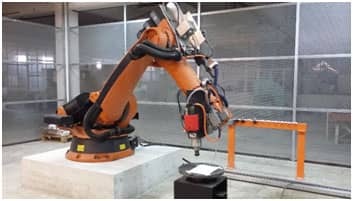 Various end-of-arm-tooling styles allow flexibility of different types of robot palletisation. Some of the most common end of arm tooling on the market are: bag grippers support the items or products on the bottom, while suction and magnetic grippers usually handle more ridged items and grip them from the top. Phoenix offers a complete Industrial robots solutions. A good system integrator possesses multiple traits, in addition to technological understanding. An integrator that values honest and open feedback, and works as a partner to engage and truly understand the processes and operations needs. Contact Us.